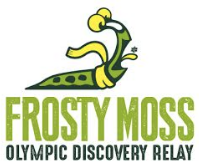 We love how people on the Olympic Peninsula come together to make fun events like the Frosty Moss Relay happen. Would you business or community group like to sponsor the event, host an exchange zone, donate goodies for runners’ swag bags, or help out in some other way? We’d love to hear from you! Enjoy hot food, cold drinks, music, relay awards, and more in Club 7 at the Jamestown S’Klallam Tribe’s 7 Cedars Casino. Watch for the tribe’s new hotel, scheduled to open in 2020. 7 Cedars Casino is an 18-and-up venue. Please organize your relay group accordingly. Thanks!